Melt chocolate chips in a large, shallow bowl. Stir until smooth. Combine rainbow chips and sprinkles in a large bowl. 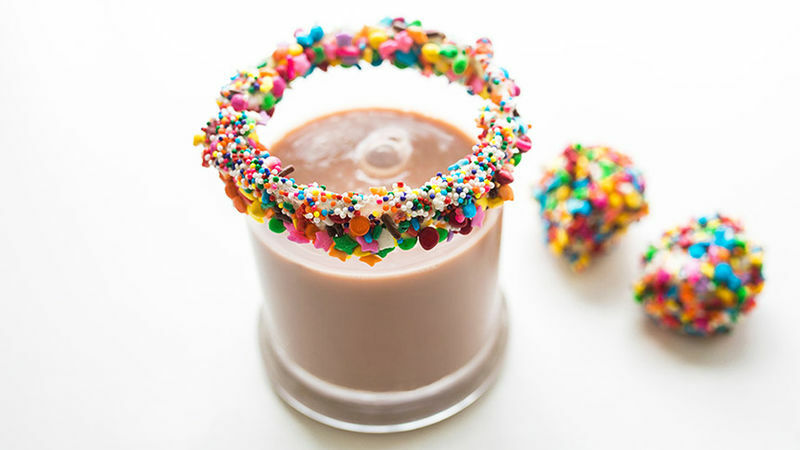 Dip the rims of two hot cocoa glasses into the melted chips, then dip into sprinkle mixture. Place in fridge until chocolate rims are set, about 5 minutes. For extra party color, dip marshmallows in white chocolate and coat in sprinkles. Serve in hot cocoa and enjoy!